On the other hand, see for example Snake–Handling Pentecostal Pastor Dies From Snake Bite – ABC …, which arguably shows that such a practice may not be such a good idea. 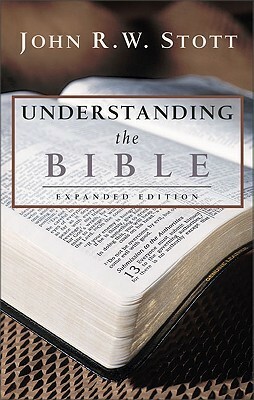 But that does bring up the difference between focusing too exclusively on the “plain meaning” of the Bible – treating it as a set of definite statutes or rules to be followed, on pain of being excluded from heaven – as opposed to treating it as a Book of Wisdom, from which valuable life lessons might be gleaned (and the pathway to heaven paved, metaphorically). But there is both another way, and an inherent danger in taking its “plain meaning” too literally. For example, John R. W. Stott was an Anglican cleric whom Time magazine ranked among the 100 most influential people in the world. He wrote a book, Understanding the Bible, and on pages 140-143, he made three key points, as discussed in Part II. Further information on the “Quiverfull Movement” can be found at sites including Quiverfull – Wikipedia, the free encyclopedia; What Is Quiverfull? – Patheos, part of “No longer quivering,” an ostensible “gathering place for women escaping and healing from spiritual abuse;” 5 Insane Lessons from My Christian Fundamentalist Childhood …; and/or QuiverFull .com :: Psalm 127:3-5. The lower image is courtesy of Understanding the Bible by John R.W. Stott — Reviews, …. See also John Stott – Wikipedia, the free encyclopedia.